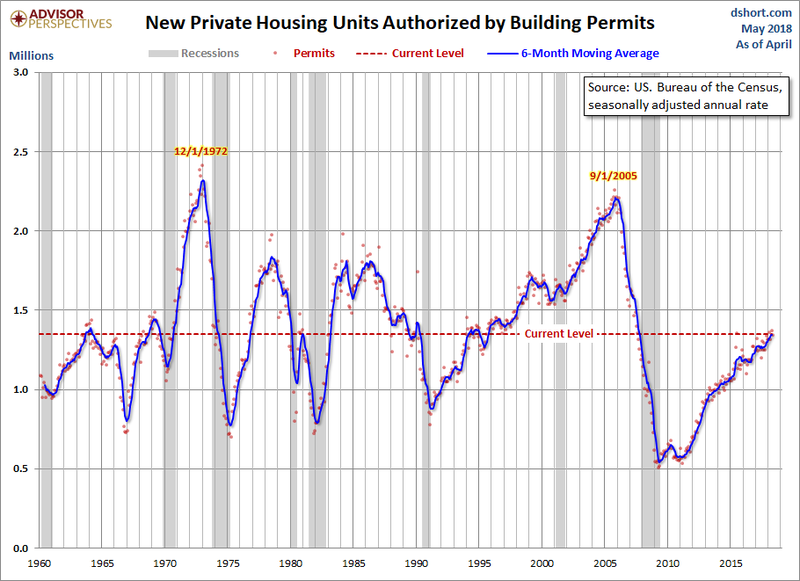 The U.S. Census Bureau and the Department of Housing and Urban Development have now published their findings for April new residential building permits. The latest reading of 1.352M was an increase from a revised 1.377M in March and slightly above the Investing.com forecast of 1.347M. 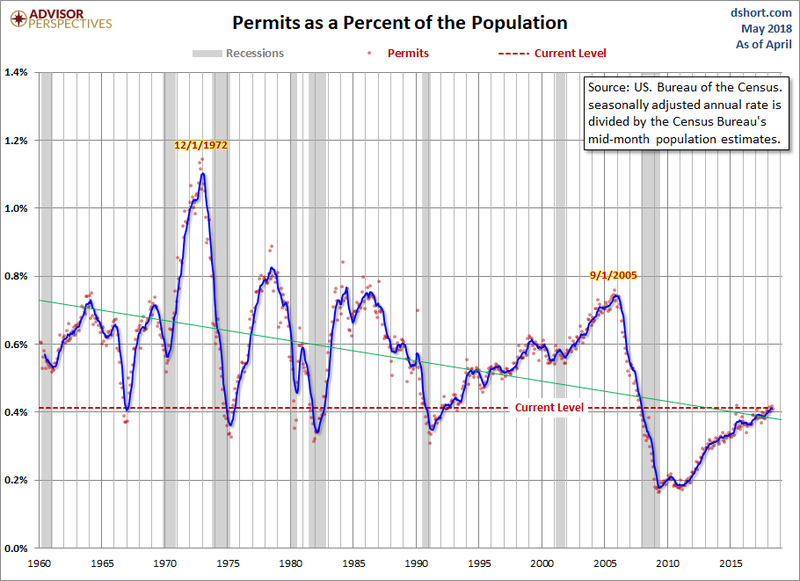 Unadjusted figures were revised going back to January 2012 and seasonally adjusted figures were revised going back to January 2013. 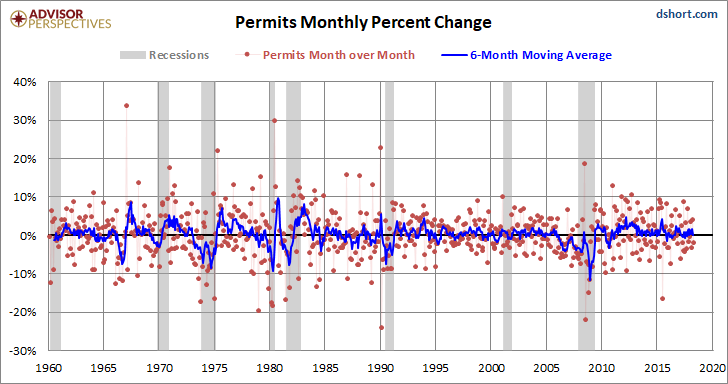 For visual confirmation of the volatility(NYSEARCA:VXX), here is a snapshot of the monthly percent change since 1990.